Will Cloud Computing in India be Governed by the Law? Will TRAI enforce law on cloud computing in India by defining clear regulatory policies for effective and secure cloud adoption across various sectors? India is witnessing a rapid adoption of cloud computing technology to store, process and manage data for smooth functioning of various operations in the Government, Public and Private organizations. DOT has sought recommendations from TRAI on regulations of Cloud based services in India. In response, TRAI initiated Consultation Paper on cloud computing to seek advice from the industry and the stakeholders. These suggestions and guidelines will assist while enforcing law(s) on Cloud in India. Cloud computing will prove to be an imperative infrastructure tool for business. Almost all the sectors like retail, manufacturing, railways, banking, healthcare and education will now or later move to the cloud. It is surely predictable that any of the cloud deployment models such as IaaS, PaaS and SaaS will be put to work by an organization. A crystal clear policy is the need of the industry which has an ever-increasing demand. Adoptions of cloud services save IT infrastructure costs, optimize resources with the perceived advantages of elasticity and scalability. With the advent of mobile computing, Mobile applications on cloud will account for 90% of worldwide mobile data traffic by 2019, compared to 81% at the end of last year. 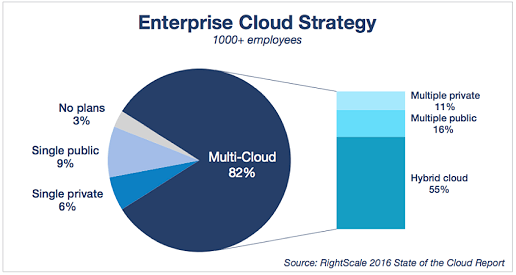 Of all the enterprises, 97% have decided to move to the cloud for their enterprise workloads. Asper the studies conducted, 82% of enterprises have a multi-cloud strategy for running their businesses. 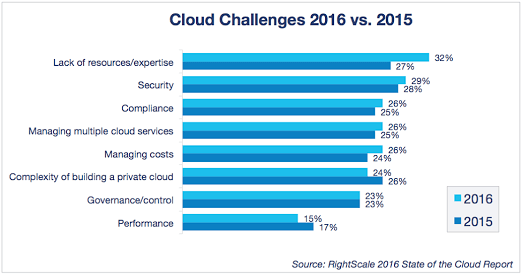 In this situation, where a high percentage plans to grab the cloud advantage the need for cloud standardization arises. Some Governments across the world are evaluating ways and intends to provide a secure cloud environment for their citizens. India has no well-defined laws to address the legal issues pertaining to privacy, confidentiality and quality of services. India has joined the choir with US, UK, Japan and Australia to ensure secured, vulnerability-free cloud services in India. Big business enterprises, SMEs enterprises started to reshape their working models in order to reap benefits from this technology. India had realized the importance of cloud technology and how it is vital for national advancement. The big market players of cloud service providers have already entered the Indian skies. The Indian authorities seeks to overcome the identified challenges pertaining to security, control, managing costs, tracking performance faced by cloud computing in India. TRAI seeks suggestions from industry players and stakeholders putting forth the Consulation papers on Cloud Computing. So what is TRAI expecting from enterprises? The above issues once addressed will be adequate data to form justifiable governing laws and regulation for the cloud. The clear regulatory policies will further boost the effective cloud adoption in India across sectors and directly contribute digitization mission of the country. It can promote cloud business in India, in case, there is a prevention of cross-border data transfer. The data localization law will further amplify the revenue from datacenter business in India. The government can encourage businesses and private organizations to embrace cloud giving them tax benefits and so on. The strategies for better alignment of business and IT can be formulated by C- level fraternity. At the end, the user can stay assured that the critical data is secure and private. All times are GMT5.5. This page was generated at 12:17 PM.